An ultra-low DFT advanced coating system targeted for refinery crude unit and FCC slurry fouling by enhancing tube lubricity and reducing surface tension. 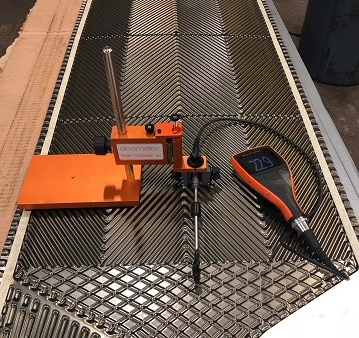 Curran 2500 is designed for high temperature DCU, VDU and FCCU crude services, and can be applied to tube exchangers, P&F exchangers and distillation tower components. 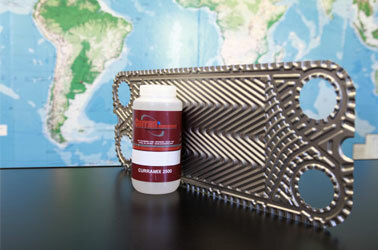 In independent lab testing this coating has exhibited excellent anti-fouling and anti-coking performance, and is resistant to thermal cycling. Designed to withstand extreme temperatures up to 1200°F. May be applied to heat exchanger tubes, plate & frame exchangers, tube sheets, channels, exchanger components and crude heaters. Can be applied in-situ. Coating surface remains smooth even at high temperatures.